More than 90% of Thai people are Buddhists, which is perhaps the reason there are so many temples, many of which are in Bangkok. In this blog I will share only a few as I did not see them all! Wat Benchamabophit is a beautiful structure made of white Italian marble and one of the most unusual temples we saw in Bangkok. More modern looking than the others it’s a striking contrast. Wat Arun is on the West Bank of the river. 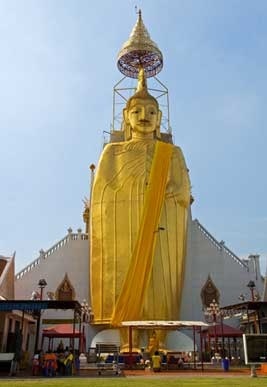 Its image is on Thai currency and is one of Bangkok’s most ionic constructs. 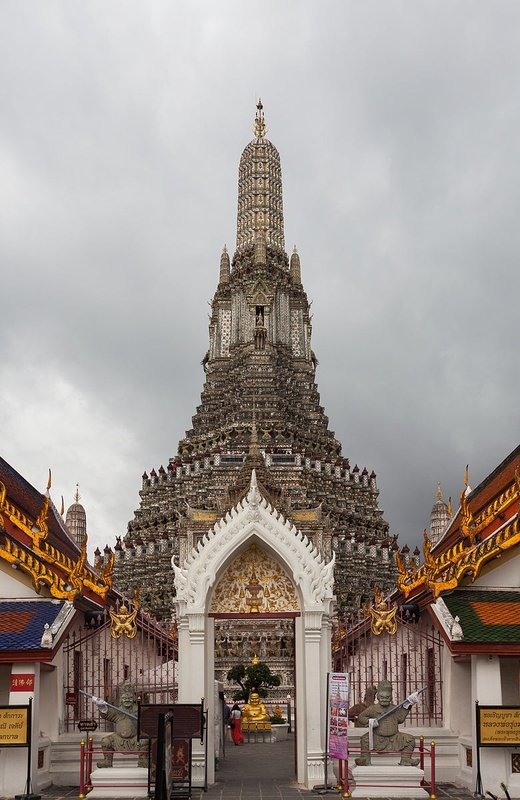 The Temple of Dawn, or Wat Arun, is also one of the most ornate in the city. 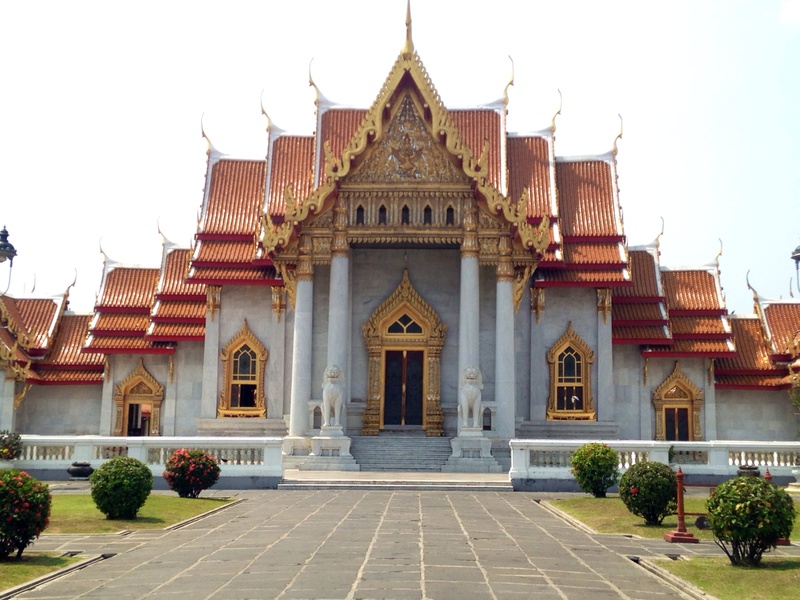 We visited this temple on our first trip to Bangkok. The temple derives it’s name from the Hindu god Aruna. The first light of morning reflects off this temple with pearly iridescence. Wat Pho, one of the oldest and largest temples in Bangkok, featuring the famous reclining Buddha. It’s located next to the Grand Palace. Wat Pho (or Wat Phra Chetuphon), is located behind the Temple of the Emerald Buddha and a must-do for any first-time visitor in Bangkok. 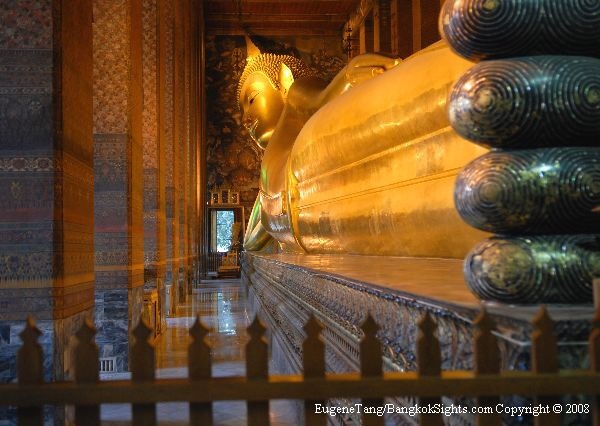 It’s one of the largest temple complexes in the city and famed for its giant reclining Buddha that measures 46 metres long and is covered in gold leaf. It’s an easy ten minute walk between here and the Grand Palace, and I recommend coming to Wat Pho second, because even though the golden Buddha here is just as popular many people don’t take the time to wander around the rest of the complex so the experience tends to be far more relaxing. 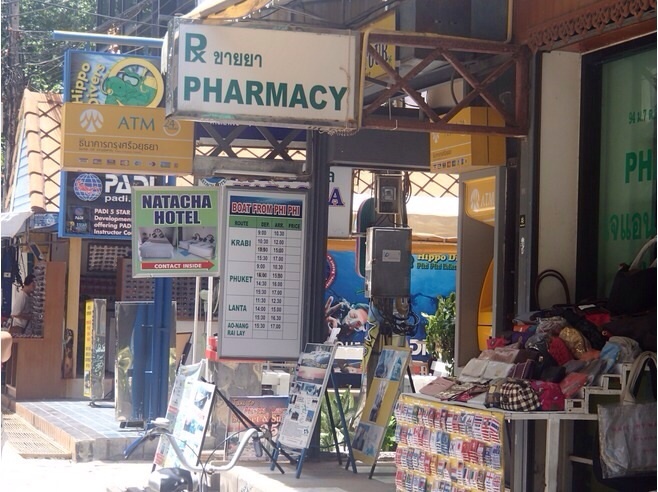 This is also a great place to get a traditional Thai massage. Wat Pho is often considered the leading school of massage in Thailand. 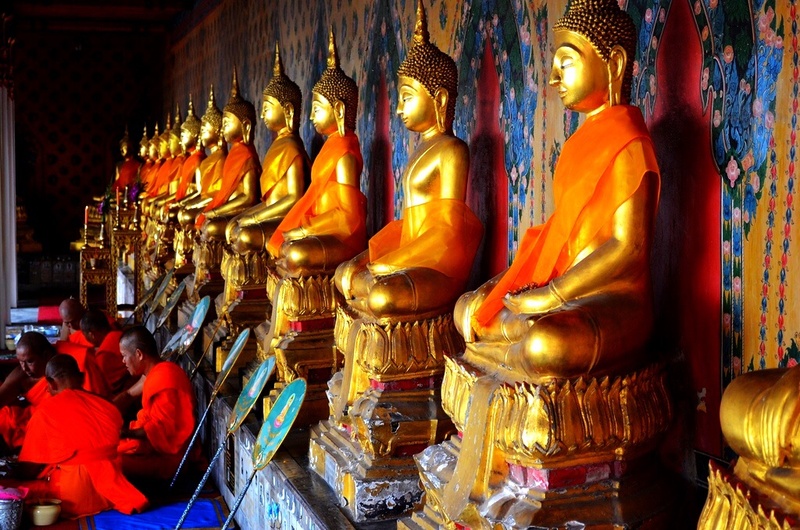 Wat Pho is considered one of the most pleasant places to visit in Bangkok according to many. Wat Pharos Kaeo houses the famous Emerald Buddha, a dark green statue, is in a standing form, about 66 centimetres (26 in) tall, carved from a single jade stone (Emerald in Thai means deep green colour and not the specific stone) and is considered the most sacred temple in Thailand. 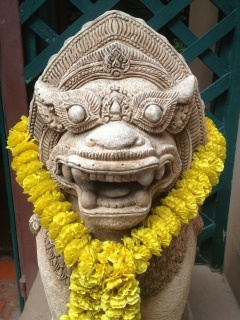 It is carved in the meditating posture in the style of the Lanna school of the northern Thailand. Except for the Thai King, no other person is allowed to touch the statue. The King changes the cloak around the statue three times a year, corresponding to the summer, winter, and rainy seasons, an important ritual performed to usher good fortune to the country during each season. 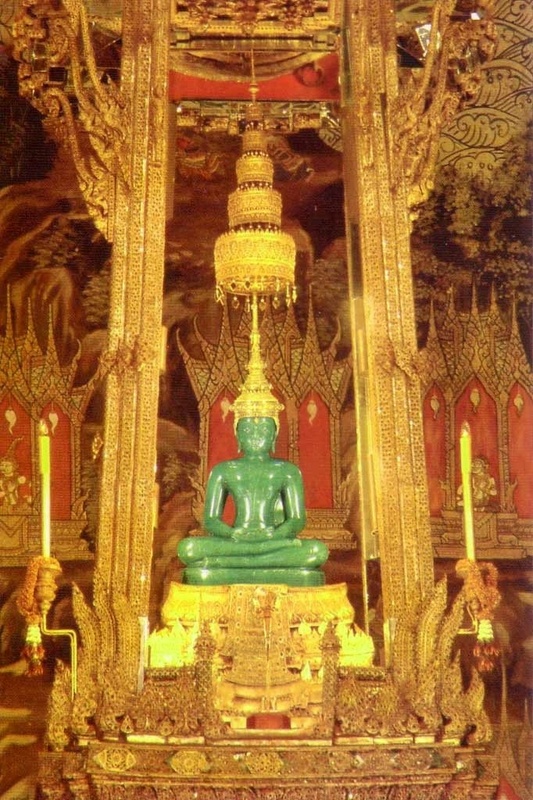 The legendary history of this Buddha image is traced to India, five centuries after the Lord Buddha attained Nirvana, till it was finally enshrined in Bangkok at the Wat Phra Kaew temple in 1782 during Rama I’s reign (1782–1809). 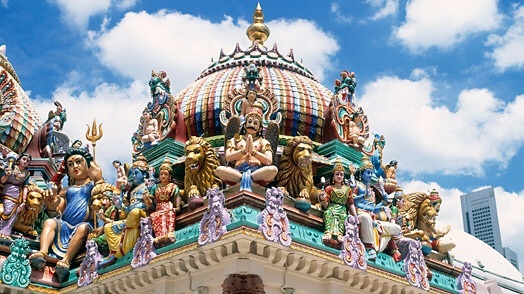 Sri-Maha-Mariamman is built in the style specific to temples I’ve seen in southern India . 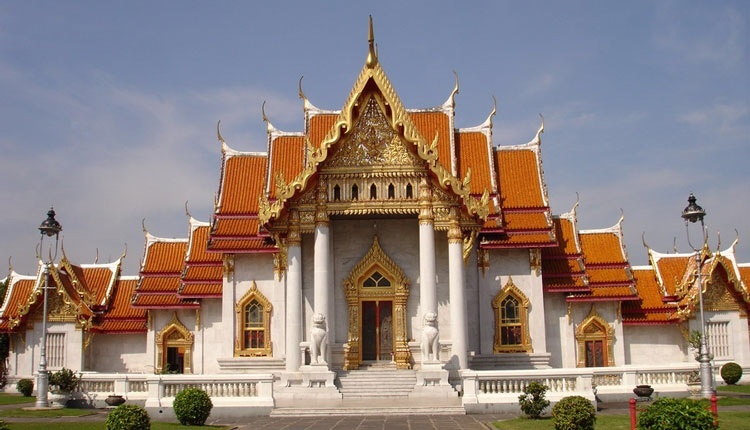 It is one of only two Hindu temples in all of Bangkok and was built around 1879. It is the oldest of the Hindu temples and devoted to the goddess Uma and is a special gathering place for thousands of transsexual devotees. The annual Navratri Festival, held in October, is also know for its Burmese and Vietnamese restaurants crowded with thousands of fire eating powder dusting worshippers. No matter what your preference, Bangkok temples are an amazing adventure and I’m thrilled to have experienced many of them. 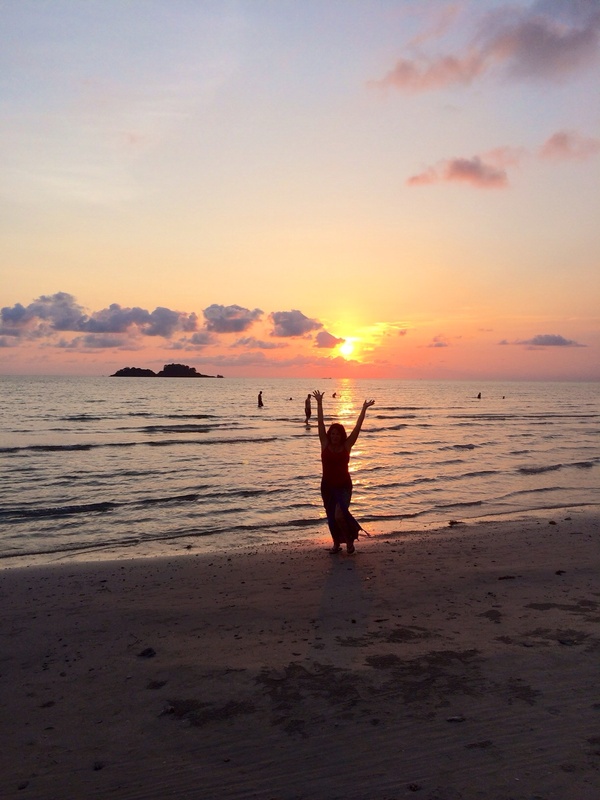 There are many things to do and see in Koh Chang and for us it has mostly been trying out various beaches – all which are lovely – and hanging out with friends. This week we ventured out a bit further and rented a boat for the day to take us to several other islands and enjoy a day of snorkelling. It was nice to be out on the water and fun to putt along seeing more of the area and surrounding islands and of course, any time spent with our friends Terry and Siri is a delight. As clear as the water looks, I have to say I was saddened at how really murky it was as we saw while snorkelling. Also, the coral was completely void of colour which I understand means it is dying, or dead. Of the islands we visited, only one had fish and while beautiful, not many and very little variety. Belize here we come! On one of the recent days we took a taxi to Lonely Beach, which is a hot spot for back packers and 20 – 30 somethings. It reminded me just a bit of Nevada City during festivals – lots of young folks wandering about and lines of shops going up the hillside. We met a lovely Thai couple and their two children who own a little open air restaurant and found our way there twice in one day. The first time we stopped in I noticed their young son, maybe 6 or 7 with a handful of bananas walking across the street, which is narrow and dangerous. As I stood up to make sure he was ok I saw the reason he’d crossed. 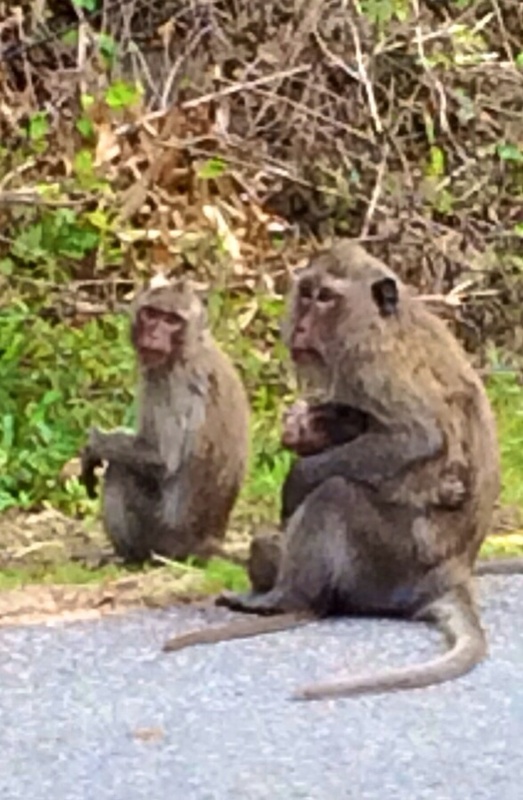 A dozen or more monkeys flew out of the trees, flipped across telephone wires and dashed down to grab the bananas. It was a monkey menagerie; babies clinging to the underside of mamas and big daddies grabbing for the bulk of the food to further their size and dominance I suppose. We then walked down to Lonely Beach and after getting there wondered what all the who-ha was about as it was very rocky and where there was white sand, very small and really nothing special. We were happy to go ‘home’ to our own beach and spend the day under the shade of my favourite tree and dining under the stars after a spectacular sunset. This morning the fisherman came in to drop their load, this time fresh crab and squid. At night, especially when there is no moon or it is cloudy, you’ll see the lights from dozens of squid boats on the horizon when you are dining at a beachfront restaurant. Terry told me the bright lights are used to attract squid to the surface where they can easily be caught. The seas around Koh Chang are fertile fishing grounds. When you head out on a snorkelling trip you’ll often see fishing boats out at sea or moored in some of the coves. Fishing is still a way of life for many people on Koh Chang but nowadays, the advent of tourism affected the fishing as it’s far easier to make money by converting your trawler into a tour boat and running snorkelling trips than it is to go out for days on end catching fish. 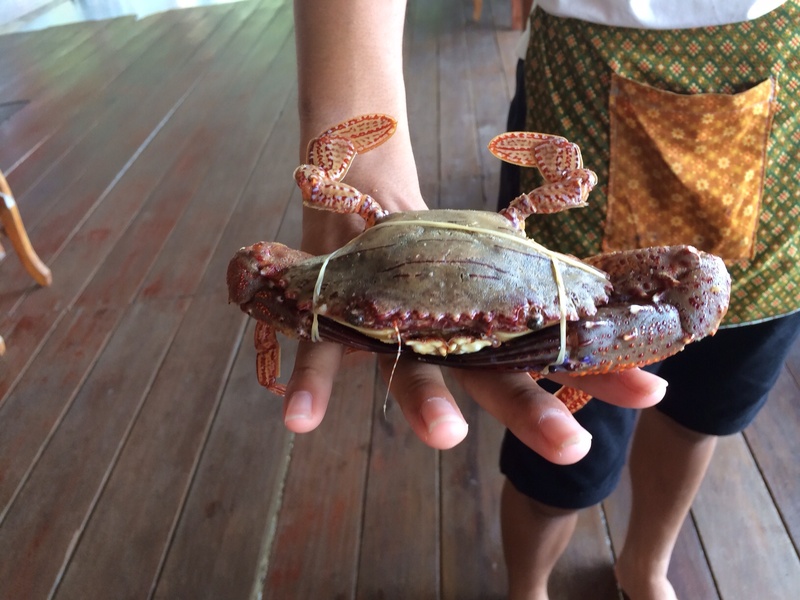 But thankfully for us there are enough fishermen still in the trade to support all the delicious food Koh Chang has to offer – some of the best I’ve eaten anywhere! It’s time to sign off and head out for another day of adventure and for more material for Stories From the Road. Until then! Not much more than a decade ago Koh Chang didn’t have 24 hour electricity; a problem common on the islands. 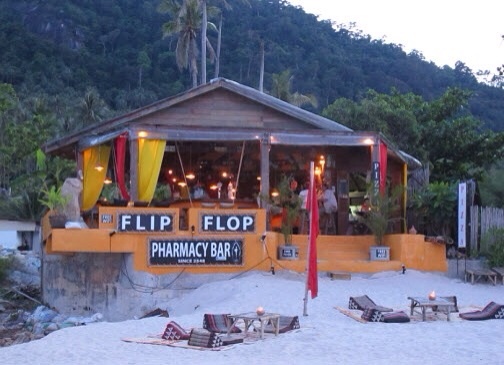 Perhaps that is why this little piece of heaven is off the big tourist scene like the more popular Koh Phi Phi, Ko Pha-Ngan or Ko Samui. This little-visited rustic isle is a long way – in every respect – from its much more popular Trat Province namesake. 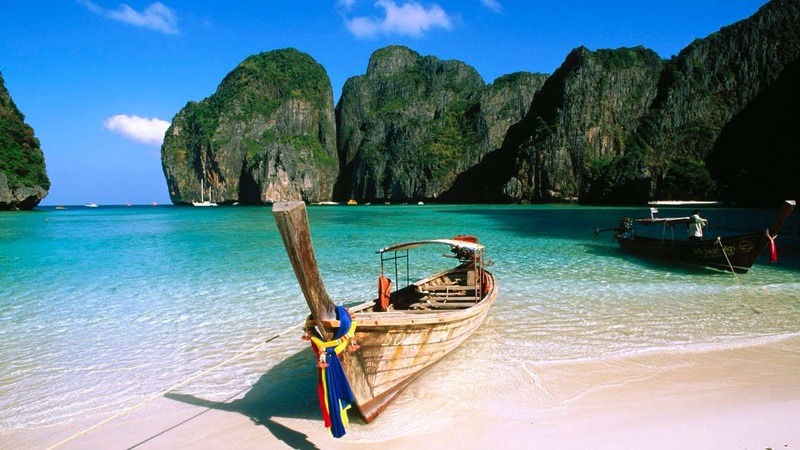 Thailand itself is a country of contrasts; from the green tropical jungles and mountains to the white sandy beaches and clear waters it’s truly a visual delight. While there certainly are no shortages of hotels and resorts the majority of housing is somewhat primitive. Take our little hideaway for example – Chok Dee which means good luck – we jumped on it after driving around, three to a scooter, searching the resorts along the beach. Only 900 Baht per night with air-conditioning and breakfast which is $15 US dollars each per night. Indeed it was our good luck to find this spot. It sits at the edge of the gulf with a nice grassy area shaded by big trees and a breathtaking view of the clear blue waters and white sand beach that stretches for miles. The cute little bungalows are clean with refrigerators and air conditioning and as far as I am concerned, the best deal around. We can walk for miles up the beach, stopping at other resorts for food or drinks and one of our favorites so far is Family Beach. A sweet spot at the water’s edge shaded by big trees and beautiful trade winds that come in the late afternoon to cool us after the heat of the sun. 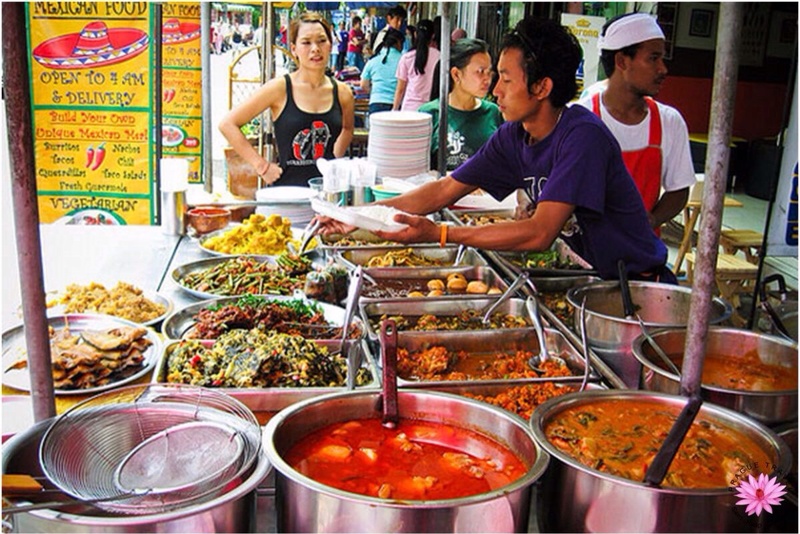 The food there is better than any other place we’ve eaten so far and the prices are about 150 baht which is under $5. Amazing really. If you figure the room charge at $15, three meals at approximately $25 and you can live here, and live here well, for not more than $40 a day. The food here is crazy delicious. We’ve tried many dishes here that were wonderful and after two weeks neither of us are tired of them. Fishermen bring their boats in to our little hotel each morning, delivering their catch from the day; squid and shrimp mostly. I watched as they dropped their load and moved on to the next hotel and sat with the woman while she cleaned the shrimp trying in my american way to communicate with her. She let me take her photograph, something they usually do not want you to do. I really love the Thai people. Their gentle ways and kind hearts break through any language barrier we may have. I’ve completely fallen in love with Terry’s sweet Siri who has as kind a heart as anyone I’ve ever known. It will be hard to leave her, and Terry, when we go next week up to Chiang Mai but I am already thinking about the next trip back here so perhaps it won’t be too long before we get to see one another again, and there is always SKYPE. Despite of the rural feel of Koh Chang, there are many things to do and see. Pass the time exploring the island’s tiny village capital (where the boats dock during the dry season) or wind your way around the island on one of the dirt trails. Sea eagles, Andaman kites and hornbills all nest here and, if you’re lucky, you’ll catch sight of them floating above the mangroves and the jungled east coast; an area we have yet to explore. The wide, west-coast beach of Ao Yai has gorgeous marbled white and black sand in the south, which obscures the otherwise clear water. A short trail leads over the bluff to Ao Tadeng, another marbled beach strewn with boulders and the island’s best sunset spot. 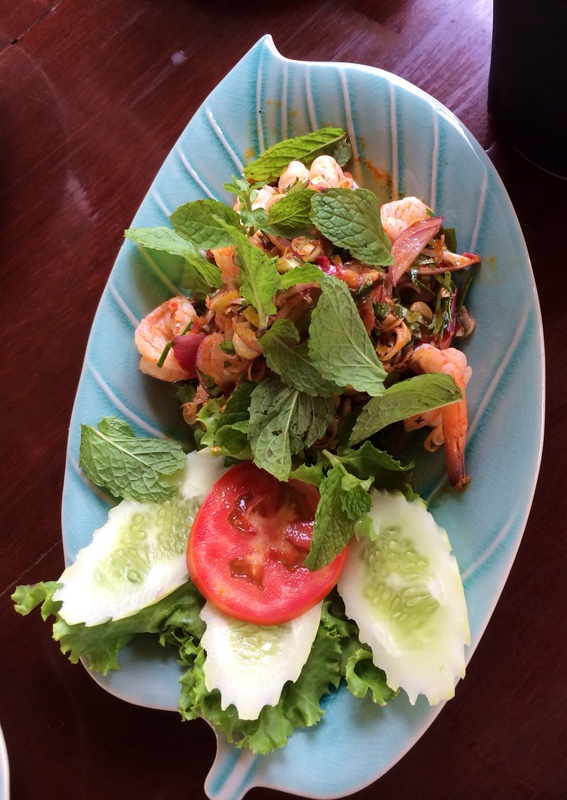 White-sand snobs will be happiest on Ao Yai’s north end. There are no banks and very few cars on Ko Chang, but the internet has arrived (thank you God) and most locals ride scooters or tourists rent them. Bungalow operations on the island can arrange boat trips to Ko Phayam and other nearby islands for around 250 Baht per person (including lunch) in a group of six or more. Dive trips are also possible. Aladdin Dive Safari runs PADI courses and offers a range of live-aboard dive safaris. A five-day live-aboard trip to Myanmar costs 28,500B; a four-day trip visiting both the Surin and Similan Islands costs 20,400B, none of which we have done, so far. Trails lead south from the village in the island’s interior to the national park station on the east coast. That’s where you’ll find the island’s best stretch of intact jungle. Elsewhere it’s all been tamed into cashew orchards and rubber plantations. 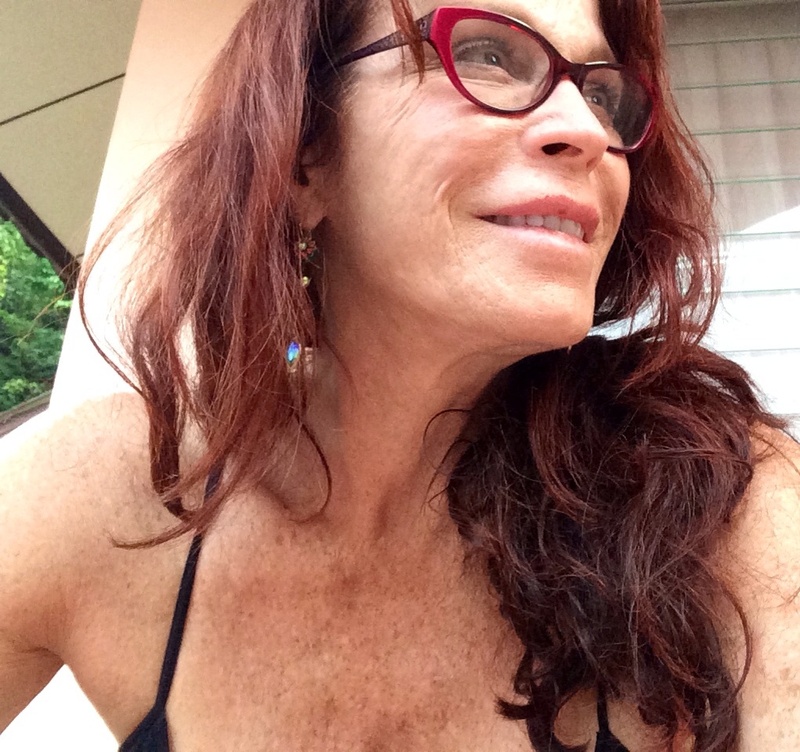 As for me, what I find myself doing most days is laying around at the beach, talking to friends, reading books, eating and writing. I think tomorrow will be much the same. Until then! As much as I tried to will it away, the creepy croup has gotten my full attention and after another fitful night of hacking I called Siri today to ask her to take me to the clinic. She picked me up on her scooter and whisked me away to a tiny clinic on the main road. As we entered the receptionist informed us that the doctor had to leave to go to the bank. While we waited I looked around and noticed a man laying on a gurney about five feet away. All I could see was his head but he was clearly in pain. I wondered how they’d manage his pain and soon I would find out; they didn’t. No morphine shots for this guy. He had to lay there and take it. Tough to watch. My experience with the doc was quite pleasant. She returned from the bank and asked why we were here. I coughed and she prescribed me antibiotics and something for the cough. No exam. No listening to my chest. Just medicine. She told me to go to bed, stay out of the ocean and stop drinking cold drinks. I was in and out in ten minutes and with three prescriptions and a bunch of what looked like Emergen”C” for a total of $60 including the visit, I was happy. Not so for the fellow screaming in pain behind the partial wall. About all I could muster after that was lunch in bed and a nap. I woke up in time to watch as the sun set and made my way across the road to grab some chicken for dinner. Then back to bed, and computer. I did get a chance to learn more about the island today. Koh Chang is the second largest island in Thailand, after Phuket. it’s in the Trat providence and has 9 villages in the district. The natives are farmers and fishermen, no wonder I like them so much. Earth people. 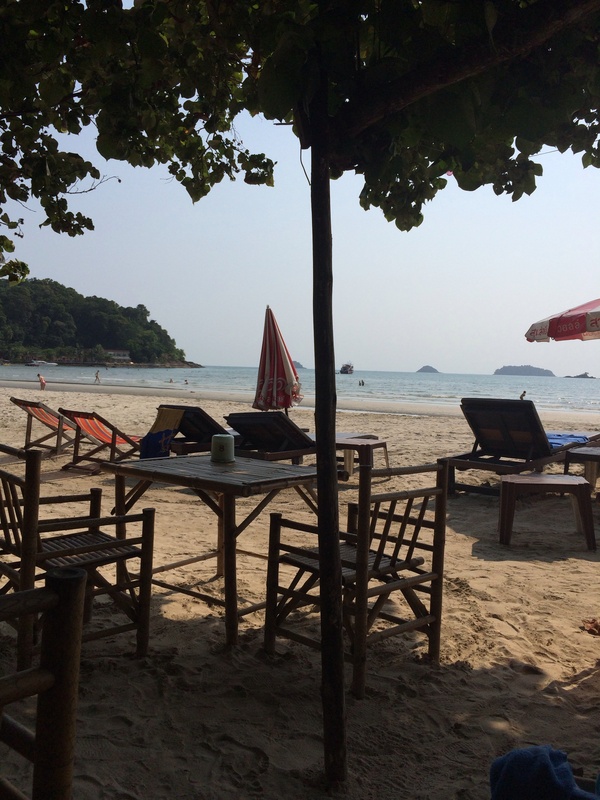 There are 42 islands that surround Koh Chang which the locals refer to as satellite islands. Filled with flora and fauna, birds, white sand beaches and clear blue sea with colorful corals and waterfalls with surrounding green forests, it’s a spectacular visual place. 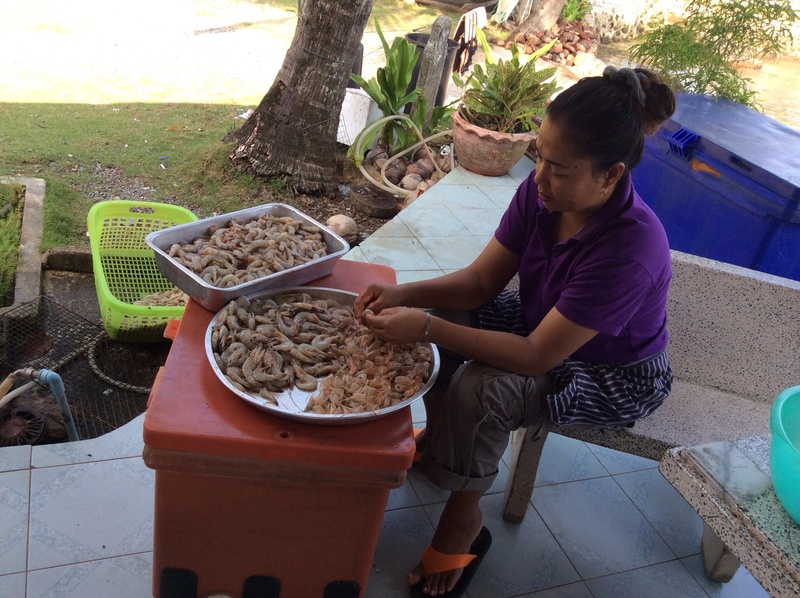 The fishing villages are located in the southwest of Koh Chang and the area is popular for it’s fresh seafood. The local lifestyle is very laid back and in spite of many folks seemingly not speaking any english, they are very willing to attempt to communicate through gestures and photographs. I did download an app, ThaiLite, which is helpful as long as you can access wifi, which to my dismay is sporadic at best. Tonight we ordered dinner by pointing at various photographs and laughing at how silly we must seem to these kind hearted people. Tomorrow is another rest and recuperation day followed on Wednesday by exploring the island and snorkeling. Until then. From one end of the spectrum to the other, Koh Chang’s relaxed vibe is a blessed contrast to the hustle and bustle of Bangkok. The trip from Bangkok to Chang Mai was an experience. We purchased a first class ticket on a tour bus who’s brochure promised air conditioning, reclining seats and clean restrooms. Of course things were different when we got to the bus station but we were committed and after throwing our luggage below we climbed into the purple plush seats and began the journey to Koh Chang. We wobbled through traffic for what seemed like hours before settling down to a serious game of Gin with my travel friend. It was not an unpleasant journey but for the toilet, which I am not going to speak about the restroom as I’m still not over it — and this from a woman who travelled India for two months! We made it to the other end fairly unscathed and popped into the back of the taxi for the half hour ride to the ferry for our final leg of the journey. Once on the other side we caught another taxi to meet up with my friends, Terry and Siri and had a wonderful meal with them under a balmy night sky. Afterwards we sat on their covered porch telling stories and laughing until wee hours of the morning. The next day we spent the whole day on the beach, napping, reading, swimming, Thai massage, and relaxation. I could get used to this pretty darn fast! Koh Chang is the second largest island in Thailand with lots of beautiful beaches and many elephants. It’s an island with sparsely populated villages dotting the shoreline and very little traffic. I’ve not seen a stop light yet and have been driving my little scooter around the island for the past three days. The people are friendly and kind but very little English is spoken and very few Americans are here. We have really kicked back since arriving and have little to report at this moment other than to tell you the beaches are plentiful and lovely and the food is delicious. We can walk in any direction and within a minute have a plethora of choices for dining. There are also several cooking schools and if this laziness ever escapes me I may find my way into one. It’s been a wild ride here in Bangkok the past couple of days; everything from sight seeing to being whipped across the city and back in a tuk-tuk, shopping for silk and rubies (note shopping, not buying) to seeing the splendor and extravagance of the Grand Palace. Like India, it is a country of extremes–from wealth to poverty; beauty to decay. As bad as the air quality is in Bangkok it is light years better than in India and for that, I am extremely thankful. The Thai people are beautiful, gracious and kind. I love the traditions, the respect of elders and the gentle hearts that exude love and generosity. It is easy to understand why so many Americans want to live here–such an easy going lifestyle in comparison to the states. Yesterday we were tourists, today is all business. I will see a dentist and hopefully be fitted for a desperately needed crown. The cost is less than half of the US prices and most of the better medical professionals are US trained. I understand why many come here for medical issues and I have been doing some research the past couple of days on stem-cell therapy as I have a few friends with severe health issues back at home that may benefit from this. More to come on that subject. Our hotel is really beautiful as I mentioned in my last post, and the staff superior; however if you plan to come here it must be said you should be prepared for a language barrier. It’s the little things, nothing earth shattering, but worthy of mentioning. Most of the staff understands some English however they are lacking in the food service department. Not once have I gotten exactly what I ordered. I now just laugh about it but at first I was a bit miffed. I think it’s the ‘entitlement’ issues we Americans bring with us when we travel (or maybe it’s just me). We are used to service, used to getting our own way, used to paying for what we’ve ordered. 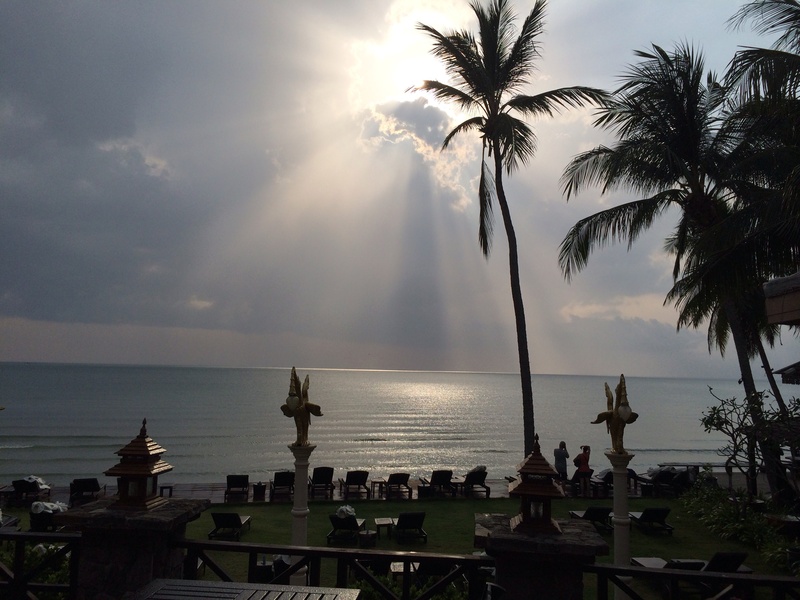 Not so here so just prepare yourself to relax into the Thai way and you’ll have an extraordinary experience. During yesterday’s trek through Bangkok we visited the Grand Palace. Nestled on the east bank it’s gleaming gold towers are unmistakable. It was by far the most crowded spot we visited thus far with multi-nationals buzzing about in swarms through the huge complex. Wandering through the interconnected courtyards of the GrandPalace it’s hard to imagine these elaborate temple-like structures have stood here for over 200 years. 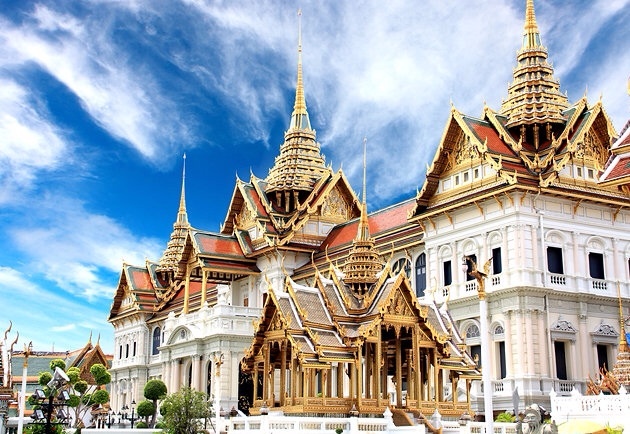 King Rama I is credited with the flowing symmetry and design of the complex; the layout said to mimic the legendary palace in the fallen kingdom of Ayutthaya. Truly a fascinating place we would have enjoyed it better had we chosen an early morning visit or perhaps after sundown as the temperatures and humidity, combined with the thousands of visitors was a bit daunting and exhausting. Plan your own visit accordingly. Tonight we’ll take a river cruise and visit another temple along the river front and then tomorrow depart for Koh Chang to see friends. I’m ready to leave the city and am very excited to visit friends in Koh Chang, an island called Elephant Island. More great stories to follow! Until then. Namaste. After an arduous flight lasting over 30 hours we had a smooth landing on the runway at the Bangkok airport. A bustle of excitement as multi-cultural people exploded out of the plane and bounded toward customs, which turned out to be an easy experience in spite of the hundreds of people in line. After the 13 hour flight into Taipei we landed and confirmed what we already suspected–we’d missed our connection to Bangkok. The five hour layover gave us the opportunity to stretch our legs and have a bite to eat. It was delightful to be free of the confined seating China Air offered =us and the airport was really quite beautiful. Clean. Modern. And loads of shopping should one be so inclined. Surprisingly some people were. I saw Dang and George again as we waited to board and again noticed how ‘happy’ they seemed to be together and I’ll admit, it pulled on my heart strings a bit. They struck up a conversation and we laughed at George’s comical description of the flight and as fate would have it, my seat was right next to them on the next flight. We laughed our way into Bangkok and thankfully Dang was able to help us secure transportation to the hotel. Smooth sailing. We exchanged contact information and I hope to see them again. Like other Americans I know, they too are thinking of retirement in Thailand. George is a contractor and they also own a Thai restaurant in Clear Lake CA. He enthusiastically described his dream of building little vacation cottages along the water front in northern Thailand. They’ve already purchased the land, 5 acres for $4000 and will spend the next two weeks arranging for septic, etc and looking at building materials. I loved the twinkle in their eyes as they spoke of it–individual bungalows on “stilts” about five feet off the ground with walk ways raised and foliage everywhere to cover the separation of ground from structure. George figures he can live here for little to no expense by renting the ‘condos’ and supplying one meal a day to vacationers. It does make one wonder of the possibilities. Luckily, I’d run into a friend, Debbie Dugan at Briarpatch, a local food coop in our town the previous week. 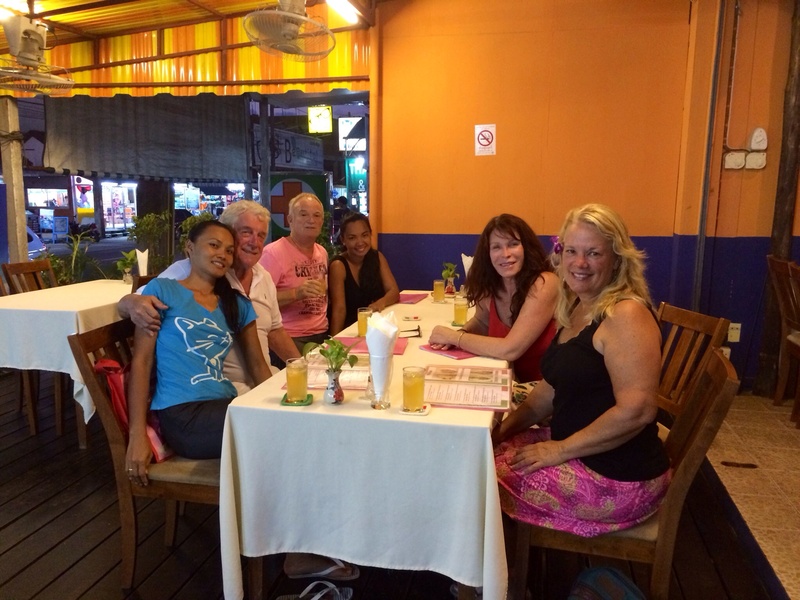 She’d recently returned from Thailand and gave me several helpful tips, including a hotel recommendation for Bangkok. I’d booked three nights there, at the Chatrium River Hotel and we were not disappointed. Our room, a corner unit over looking the river was spacious, clean, modern and had both shower and tub; something I hadn’t expected. The service is excellent and the food good. But the very best thing, for me, was the bed. I can’t think of another time I’ve slept so well and in spite of the pretzel position I stuck myself in on the plane and after a ten hour sleep I woke with no severe back pain–a huge blessing! Today we launch out into the city to see the temples, people, and experience the culture–stories for another day.